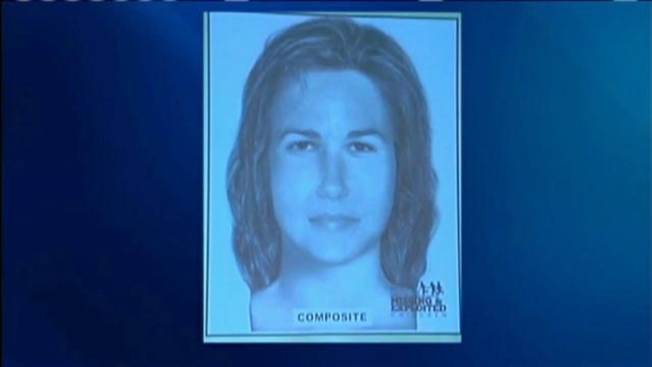 Officials in New Hampshire are hoping new composites and new information will help solve a decades old cold case out of Allenstown. A woman and a girl were found dead in 1985, 15 years later two young children were found dead in the same spot. The four victims still have never been identified. Tuesday, top state and federal law enforcement officials released new sketches of the woman and three girls, hoping that someone, somewhere will recognize them. "I've done amber alerts and cold cases and stuff like this, but nothing with this magnitude or quanitity of people," said Mike Peltier with the National Center for Missing and Exploited Children. Assistant Attorney General Ben Agati says the woman and the oldest girl were found partially dismembered, and stuffed inside two 55 gallon drums. The two younger girls were found on the same property next to the Bear Brook Garden's Mobile Home Park fifteen years later. A headstone remains in an Allenstown ceremony as a memorial with no names. "The unanswered questions need to be answered," Agati said. Agati says the woman was likely in her twenties and likely the mother of the oldest and the youngest girls. The oldest is between nine and ten years old. The youngest, is two or three years old. All of them are Caucasian. The third child victim, Agati says is three or four years old, and is not maternally related to the others. New technology and Isotope testing proves that the woman and her two family members are probably from the Northeast. He says all four were likely together in the final weeks before they died sometime between 1980 and 1984. "To have them be killed and deposited this way shouldn't be stood for anywhere, no matter what country you're in in this globe, no matter what society you're in," Agati said when asked why the investigation is ongoing after so many years. Maine Genealogist Ronda Randall has been studying the case for five years. She says she's hopeful this new information will bring the answers she says these victims deserve. "I think there can be a good and lovely outcome, that their names can be restored to them," she said. "Someday they can be buried in peace." Agati says the woman and the oldest victim were beaten to death. He says invetigators must first identify them before figuring out who could've committed such a heinous crime. If you recognize these faces, call 1-800-the-lost.